Romantic white pearl necklace with rose pendant. A stunning traditional necklace with rose accents, this mesmerizing accessory will add a touch of refinement to your Trachten outfit. 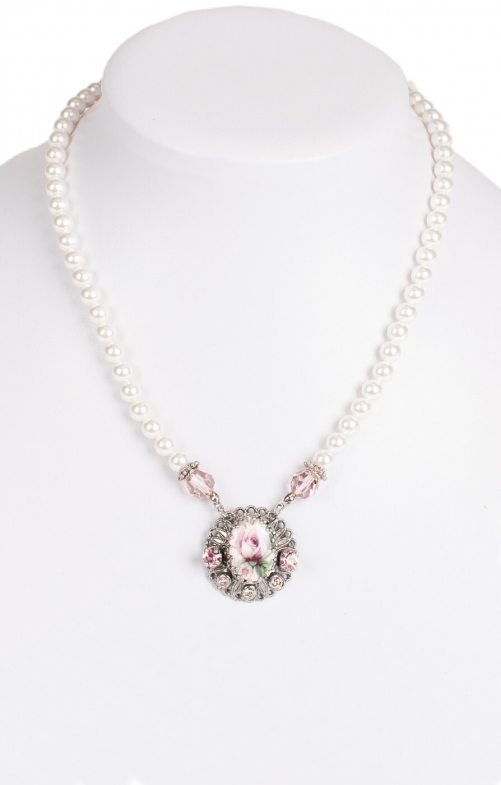 It features an ornate cabochon rose pendant with silver filigree, framed by five pink crystals and suspended from a sumptuous white princess-style pearl necklace. Pair it with the matching rose cabochon ring in this collection, and revel in those dazzled glances at Oktoberfest.